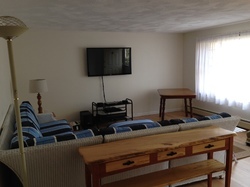 Search all Cape Cod winter rentals here! Found a property you love? Be sure to save it! Save rental listings, searches, and receive notification when a new rental matches your search criteria- all by registering with our site. Contact the experts Seaport Village Realty today for help finding the Cape Cod winter rentals that work for you. This gorgeous luxury apartment offers beautiful views of Lewis Bay from almost every room. The prestigious Lewis Bay Condos are located within an easy walking distance of historic Main Street, the well maintained building features a stunning lobby, serene courtyard and is very well appointed. The apartment features a modern open kitchen, living room that leads out to the balcony so you can enjoy your morning coffee while looking out over the water. Split floor plan offers two spacious master suites both with full en suite bathrooms and double doored custom closets. Make this modern and beautiful apartment your winter haven. I have a question about the property at 89 Lewis Bay Road Barnstable MA 02601 (#7401). I would like to schedule a visit for the property at 89 Lewis Bay Road Barnstable MA 02601 (#7401). This immaculate and tastefully decorated home features an open floor plan - perfect for entertaining. The first floor features a fireplaced living room, spacious updated kitchen with island, and slider overlooking large deck and beautiful, private back yard. Wood floors throughout the first level! Master bedroom can be on the first or second floor. Two full, tiled bathrooms. Bright, clean and absolutely charming! Sleeps 8-10. Just steps to Wequaquet Beach. I have a question about the property at 46 Indian Trail Barnstable MA 02632 (#7004). I would like to schedule a visit for the property at 46 Indian Trail Barnstable MA 02632 (#7004). The perfect home for any of your winter needs is waiting in this desirable Centerville neighborhood that offers easy access to downtown and the highway while still being removed from the hubbub. THis immaculately kept home features a large living room, open kitchen and dining room with sliders to the porch and yard, bonus family room, master with en suite bath and a one car garage. Whatever brings you to the Cape this winter this is the home for you. I have a question about the property at 320 White Oak Trail Barnstable MA 02632 (#7397). I would like to schedule a visit for the property at 320 White Oak Trail Barnstable MA 02632 (#7397). This lovely Centerville home is set back on a private road but is still centrally located enough to offer just a few minute's drive to town beaches, Route 6 and Main Street Hyannis. This extremely well maintained home has every comfort including a fully equipped kitchen that is open to the spacious living/dining room, split floor plan for the three bedrooms and patio overlooking the yard that opens to the breezeway entry. Plenty of room and a lot to love. I have a question about the property at 45 Oreo Lane Barnstable MA 02632 (#7398). I would like to schedule a visit for the property at 45 Oreo Lane Barnstable MA 02632 (#7398). 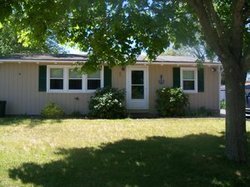 This adorable three bedroom, one bath home is nestled in Hyannisport, the heart of the Cape. Close to beaches and town the home features a bright living and dining room, galley kitchen with access to the patio and large yard fenced in for extra privacy. I have a question about the property at 85 Smith Street Barnstable MA 02601 (#7086). 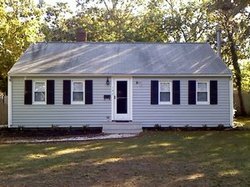 I would like to schedule a visit for the property at 85 Smith Street Barnstable MA 02601 (#7086). This adorable home just one tenth of a mile from the beach has been completely refinished inside. All new furniture, appliances, and gleaming hardwood floors. Home features three bedrooms and one bath, eat in kitchen with back door to the fenced yard, easy walking access to a neighboorhood beach and a public beach. 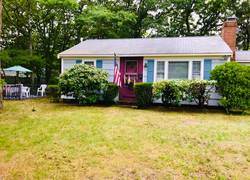 I have a question about the property at 29 Grove Street Yarmouth MA 02673 (#7096). 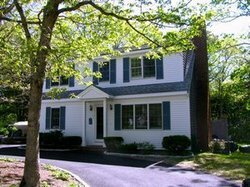 I would like to schedule a visit for the property at 29 Grove Street Yarmouth MA 02673 (#7096). This gorgeous home has been completely renovated and is just a short walk to Wequaquet Lake. Home features a brand new eat-in kitchen that is open to the living room and steps down into the screened in patio, master bedroom with private bath, and a beautifully landscaped yard. Enjoy the winter from this well kept and updated home. I have a question about the property at 17 Bunny Run Barnstable MA 02632 (#7394). I would like to schedule a visit for the property at 17 Bunny Run Barnstable MA 02632 (#7394). Cute and cozy describes this charming Cape Cod getaway. Privately set, this home features an open floor plan with a fully equipped kitchen, dining and livingroom. A bedroom with Queen Bed and a full tub bath. There is also a sleeping porch for extra guests. Handy to beaches and town! I have a question about the property at 11 West View Lane Barnstable MA 02632 (#7066). I would like to schedule a visit for the property at 11 West View Lane Barnstable MA 02632 (#7066). This adorable ranch is only three quarters of a mile from a deeded beach south of Rte 28. Sweet and charming this ranch has everything you need to enjoy your summer vacation, fully equipped eat-in kitchen, outdoor shower, shady patio and much more. Sleeps six on one full and four twins. Handy to Yarmouth and Hyannis. 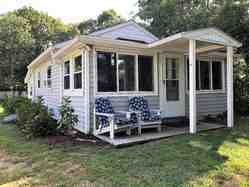 I have a question about the property at 47 Wendward Way Yarmouth MA 02673 (#7434). I would like to schedule a visit for the property at 47 Wendward Way Yarmouth MA 02673 (#7434). This lovely winter home has two bedrooms and 1 bath. The house has been completely redone with brand new appliances in the fully equipped eat in kitchen, new matresses in both bedrooms, and new washer and dryer. Conveniently located for easy access to stores and restaurants. 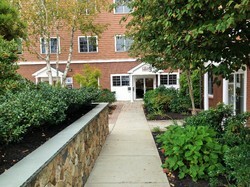 I have a question about the property at 137 Baxter Road Hyannis MA 02601 (#7090). 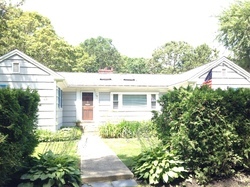 I would like to schedule a visit for the property at 137 Baxter Road Hyannis MA 02601 (#7090).